I can’t imagine why you’d rotate random carry guns “just because” and yet that’s a thing people do. Weirdos. Hey man you got a dollar? Sometimes I have good ideas, like the Run your Gun pistol standards. It’s a pass fail test to evaluate your ability to perform to a high accuracy standard against a par time! Here are the targets I use for it. It’s not hard to spend a little time in google and see some of the uncomplimentary things I’ve written about Hi-Point in the past. I’m older and wiser now. Want to get better at shooting but don’t feel like you have the time? Try the 10 minute dry fire session! And if you want to get better at shooting, you’re going to need a shot timer. Have you ever heard this gem on a forum? “Oh all you have to do is say you were afraid for your life!” Turns out that isn’t true even a little bit. Last night as I was getting off the internet for the evening, I made the mistake of glancing at FB one last time. 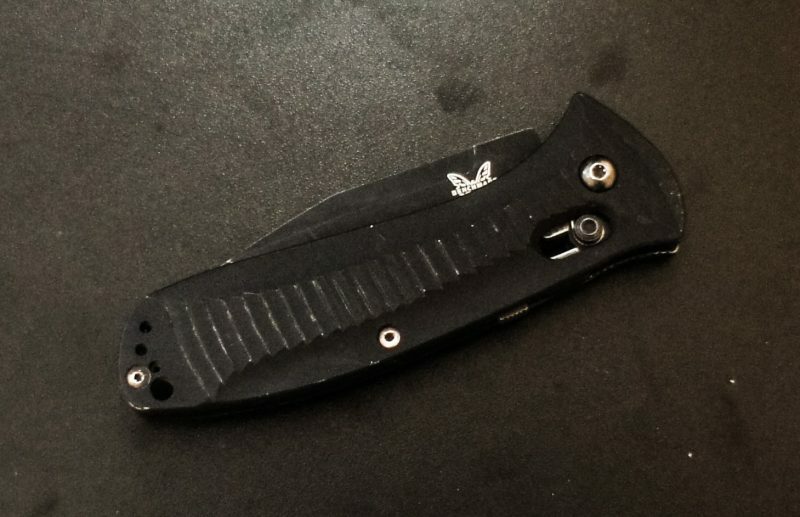 I say mistake because I got to see that the Internet Outrage Machine was in full swing again, this time targeting one of the best knife companies in the business: Benchmade. Here’s a quick and effective way to get your red dot pistol sighted in without having to go back and forth at 25 yards! If you like what we’re doing, please consider donating to the blog on patreon. I promise I’ll use the money for whiskey and ammo. The next battle for gun rights won’t be fought in Congress or even in your state’s legislative body. No, the new fight is going to happen right at the ballot box, and if that doesn’t scare you it should. You know what really grinds my gears? Pretty much everything in this video.